While the web is ablaze with talk of Microsoft’s possible buyout of Yahoo, the former search engine king is shunting its music subscription customers to Rhapsody as a cost-saving exercise. American subscribers to Yahoo Music Unlimited can download an unlimited number of tracks, which only remain playable if the users keep up with their $6 per month payments. Yahoo has announced that it is going to shake up the structure of their advertising departments, merging its web search and display advertising. The most popular search engines rarely agree with each other when it comes to the top results for identical queries – and the differences are growing yearly. In a study involving 19,332 queries typed (presumably not by hand) into Google, Yahoo, Windows Live and Ask, the same top result only popped up on all four search engines 3.6 percent of the time. Just when Microsoft was developing as bit of a confident man-about-town swagger about its rising search engine performance, a new report from Nielsen/NetRatings delivers a humbling slapdown in the goolies. The figures, released yesterday, show that after gaining ground for a couple months, Microsoft lost a chunk of their search market share in April, while rivals Google and Yahoo enjoyed lengthy back-slapping sessions as traffic rose. Flash memory maestros Sandisk have announced that they’re hooking up with Yahoo Music Unlimited To Go to provide a service that lets music fans fuel up their music players wirelessly. 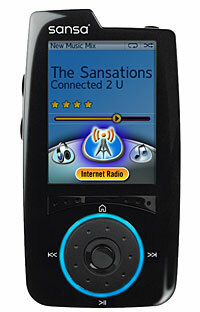 After connecting the Sansa Connect media player to the Internet via Wi-Fi, users will be able to listen to LAUNCHcast Internet radio, rummage through Flickr photos and check out what Yahoo Messenger friends and nearby Sansa Connect owners are grooving to. Meandering music fans will also be able to access Yahoo’s free music services or connect to Yahoo Music Unlimited To Go subscription service to download tunes to their players, without the need to connect it to their home PCs. 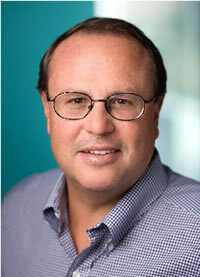 “We see this as a very strong partnership with Yahoo,” purred top SanDisk marketing bod Eric Bone, adding that he saw his company progressing from “fast-follower mode to a technical-leadership mode” in a market still dominated by the ubiquitous iPod. 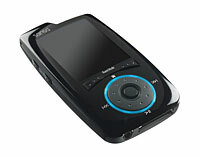 The attractive 4-gigabyte palm sized player comes with a bright 2.2″ screen, a tactile scroll wheel, a microSD slot and a built in mono speaker for sharing the music with (quiet) friends. There’s also a slightly strange looking stubby antennae for the wireless connectivity. 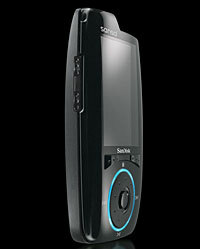 As well as wirelessly connecting to Yahoo’s Music service, the Connect supports MP3s and DRM WMAs provided by other services like Rhapsody, but you’ll have to get out Ye Olde cable to transfer the music from your desktop. The Sansa Connect is set to retail for around $250 in the States. We haven’t heard any news about UK pricing/release dates yet. It looks like it’s a beauty and we’re looking forward to getting out hands on it. Yahoo Mail will be upping the ante in the Web-based email market. There’s been back and forth between Yahoo and Google, following Google launching Gmail with an at-the-time world-shattering 1GB of storage back in April 2004. To mark their 10-year web-mail birthday, Yahoo are proposing giving people unlimited storage for their email, quite a step up from the 4MB that they launched with. Now don’t expect all of this to be available today, as even Yahoo’s mighty mass of server farms might buckle under the demand. Instead they plan roll it out gradually over the coming months. Don’t go thinking that you’ll be able to use your Yahoo mail account to hold all of your data, Yahoo will have anti-abuse limits in place to protect users, the details of which are currently unclear. Many of us at Digital-Lifestyles swear by Gmail as our email package of choice, but we’ve hit the 2.8GB limit a few times of late and if Google don’t make the jump to copy Yahoo’s infinite offer, that may be enough for some of us to jump over to Yahoo. 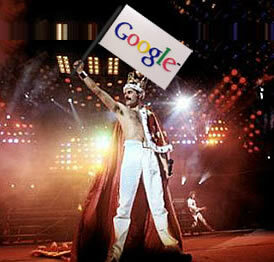 So come on Google. That’s the response that Yahoo! (the owners of popular Web 2.0 photo sharing site Flickr) were greeted with when they announced that they would be forcing a merging of Flickr accounts with Yahoo! accounts. 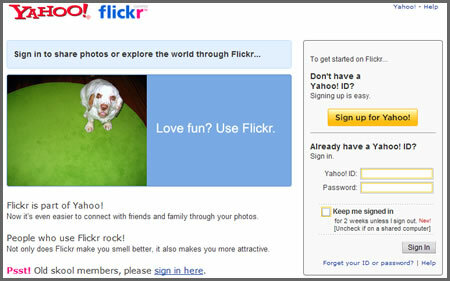 Users who joined Flickr before its acquisition in March 2005 are known as ‘old skool’ users, and they use the original Flickr accounts to login, rather than the Yahoo! accounts used for those who joined after the acquisition. 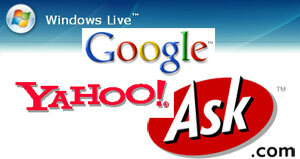 Old skool status is heavily valued in the community, and successive Yahoo! 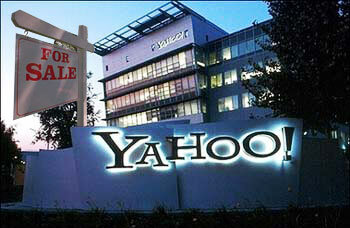 attempts to force migration from ‘old school’ accounts to Yahoo! accounts has attracted much controversy. The migration of accounts is not a technical issue; Old skool members will keep their buddy name and are not forced to use any other Yahoo! services. Given that this is the case, it perhaps seems illogical that there is such a backlash. One old skool user’s view is in a post by Thomas Hawk, a keen Flickr user (and also CEO of a rival service). The problem seems to be two fold. Firstly, Flickr users simply don’t want to be forced to give up their ‘old skool’ account; they are proud to have been part of one of the archetypal Web 2.0 products before it hit the mainstream, and do not want to see their status lost. Secondly, there appears to be a wider problem within the Flickr community, namely concern about the direction in which Yahoo! might change the nature of Flickr. Yahoo! recently announced that it would be making use of Flickr images in its new Brand Universe program, a move which has concerned some users, and other attempts to integrate Flickr further into Yahoo! 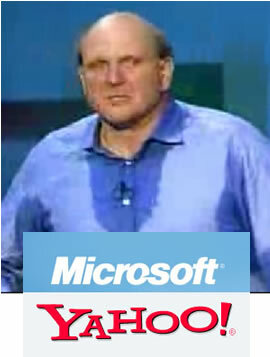 products are likely to be met with concern. Unlike the last time Yahoo! 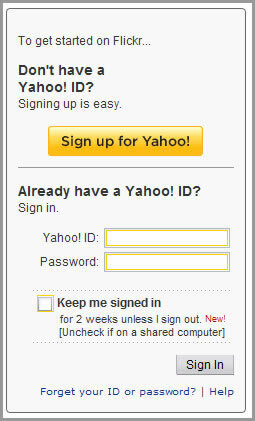 attempted to merge old skool accounts with Yahoo! accounts (when they bowed to pressure and relented), it appears that this time they are determined. There may be a small number of old skool users who delete their photos, but there will be no major exodus. Huw Leslie is editor of UK-based Web 2.0 and software blog Gizbuzz, and the co-founder of technology blog network Oratos Media. His personal blog is For Crying Out Loud!